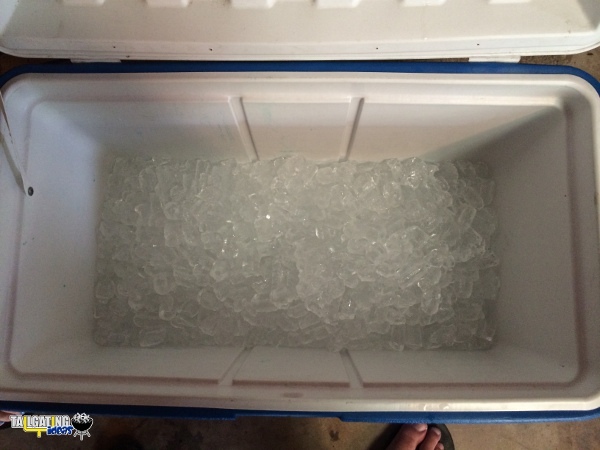 If there was one thing tailgate parties that we typically run out of too soon, it is ice. 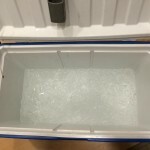 Whether we underestimate the amount we will need or the cooler we are using allows it to melt too quickly, ice is the one thing you can never have an overabundance of while tailgating. 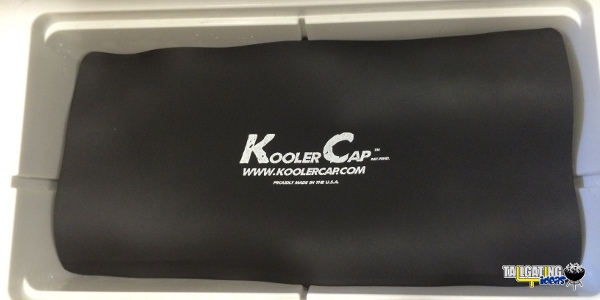 We were recently contacted by the makers of KoolerCap that claimed their invention can reduce ice melting by 30%. 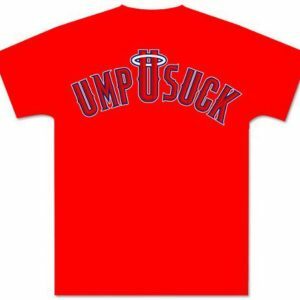 A rather bold statement if you ask us. Always up for debunking a claim, we received a KoolerCap to review and put it to the test in a real tailgating environment. 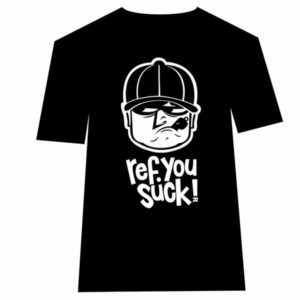 Before we do that, let’s share with you the KoolerCap claim and how it works. Every time a cooler is opened, warm outside air rushes into the cooler cavity through a process called convection. 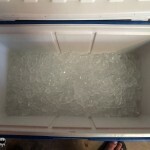 When the cooler lid is re-closed, the ice within the cavity is forced to re-cool the warm cavity air in order to maintain the desired temperature within the cooler. 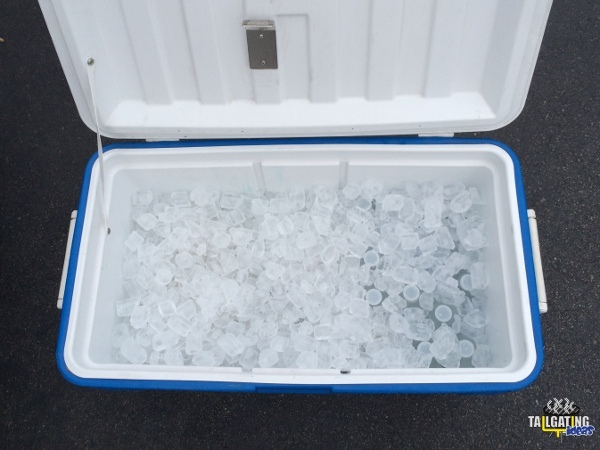 We all know that coolers are normally opened and closed many times during any given day, especially while tailgating . This constant cold air loss to convection results in faster melting ice. The KoolerCap claim is that it solves this problem and extends ice life by about 30%. 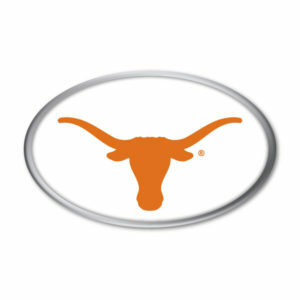 During a typical tailgate party, that can be as short as three to four hours to an entire extra day. 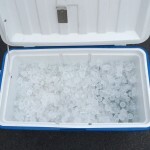 This saves the hassle and expense of asking later arriving tailgate party guests to purchase extra ice so that perishables don’t spoil and drinks stay cold. The idea of tailgating is to enjoy those your time in the parking lot, not worry your ice is melting too quickly. 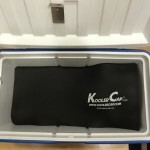 Vern McGarry, the inventor of the KoolerCap did this test video to demonstrate how the KoolerCap works and extends the life of your cooler ice. He did this test during the summer with temperatures in the 85 – 90 degree range. 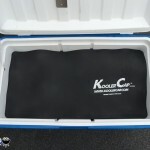 As you saw in the video, the KoolerCap works by sealing the ice and perishables from the unused cooler cavity using compression technology. The KoolerCap is a specially formulated closed cell foam insulation material and is very light, weighing only a few ounces. As each cooler has its own interior dimensions, each KoolerCap is custom trimmed by the customer to their individual cooler size and dimensions. 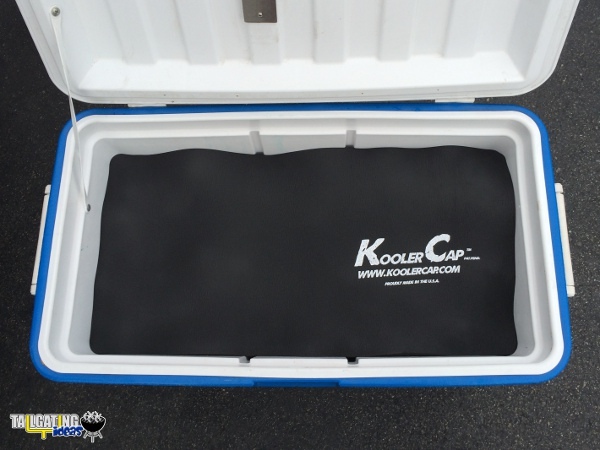 The KoolerCap is designed to compress along the interior walls and corners of the cooler, sealing the ice and perishables from the cooler cavity, which is exposed to outside air sources when the cooler lid is opened. 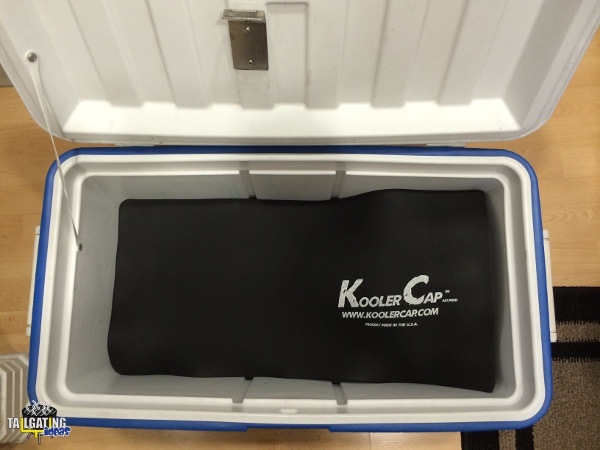 After accessing drinks or perishables within the cooler, simply slide the KoolerCap back down to the top of the ice and perishables, sealing them. The ice then only cools the very small amount of air directly under the KoolerCap. 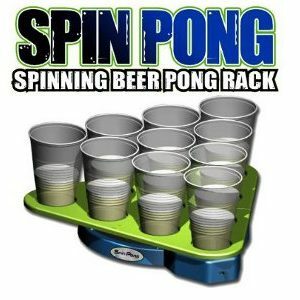 Of course, we here at Tailgating Ideas are always skeptical and have always tested the claims of product manufacturers. 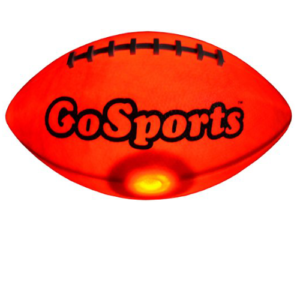 That is why we requested a sample of the KoolerCap in order to test it for ourselves in a real tailgating environment. Instead of testing the KoolerCap within the Yeti Tundra 65, we chose to test it within our old Igloo cooler we got over 10 years ago. 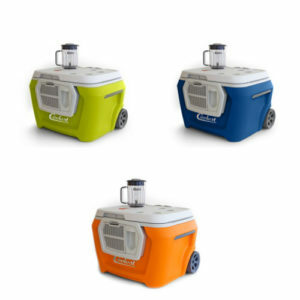 That cooler is more of the “standard” cooler that most tailgaters would have if they don’t want to spring for the more expensive types. 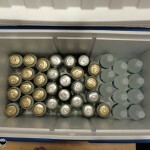 We loaded up our cooler with cans and bottles of water that had already been in the fridge overnight to ensure they started cool. We all know that beverages that are room temperature to start will make the ice melt faster and thus making test results partisan. We then bought a 20 lb. bag of ice and covered the ice chest ensuring all the cans and bottles were completely covered. We then took the KoolerCap and placed it on top of the ice cubes making sure it was a tight fit and was touching the tops of the ice. We then placed the cooler in the car and drove for about 45 minutes (about the average drive time most tailgaters take to get to their game). 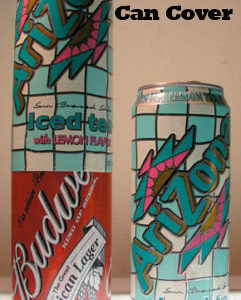 Once we parked we opened up the cooler, pulled back the KoolerCap and removed three or four beverages every 15 minutes. 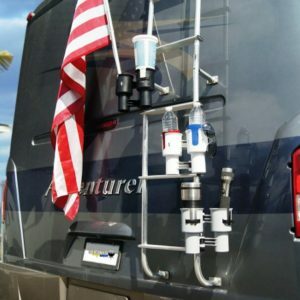 Our test was to simulate the frequency and removal of beverages of a three to four person tailgate party over the course of five hours. 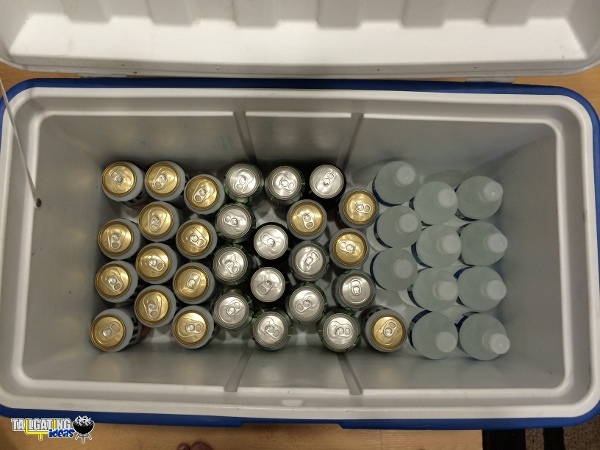 We also did the same test with the same cooler, the same number of chilled beverages with 20 lbs of ice the next day. 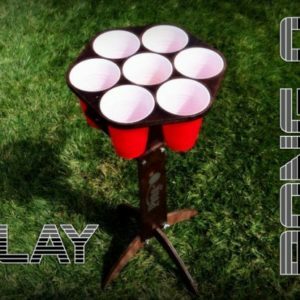 We removed the same number of beverages each time in 15 minute intervals. Both days the temperature was around 85 degrees. The results you can see in the photos below speak for themselves. 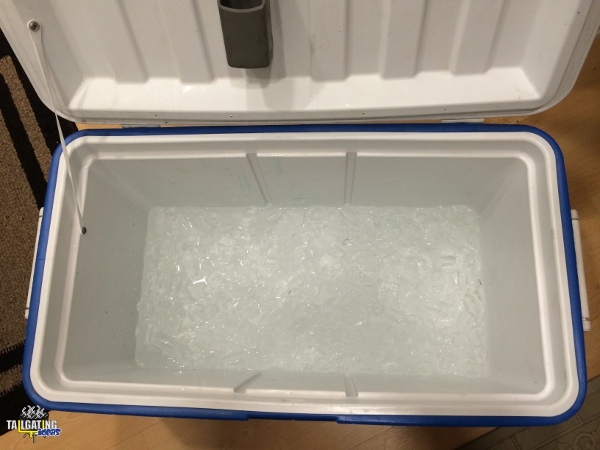 As you can see, the ice in the cooler without using the KoolerCap melted quite a bit and was mostly water. The ice in the cooler that enlisted the KoolerCap was hardly melted and was primarily ice. 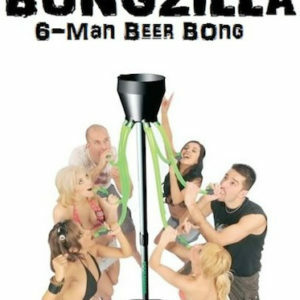 Of course, this test was conducted over the course of five hours, the same time a normal tailgate party would take. 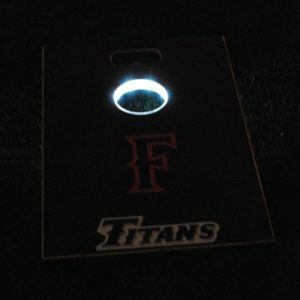 After thoroughly testing the KoolerCap ourselves in a real tailgating environment, we are going to deem the KoolerCap “Tailgate Approved”.